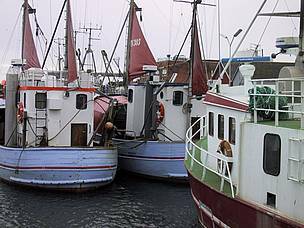 In times of financial austerity, the ineffectiveness of fisheries aid is brought into sharp focus as is the overall cost to society of both fisheries subsidies and broader fisheries management failures. The European Commission and EU decision-makers have an unparalleled opportunity in the ongoing CFP reform process and the preparations for the next EU budget period 2014-2020 to take effective and necessary steps in order to meet the goals of increasing resource efficiency and halting biodiversity loss by 2020. Anything less will contribute to the continued decline of European and global marine and freshwater ecosystems as well as the European fisheries sector. WWF along with Greenpeace, Oceana, OCEAN 2012, BirdLife Europe and Seas at Risk produced a joint discussion paper looking at the failed promises to reduce fleet overcapacity during the reform of the Common Fisheries Policy in 2002.